The Home Sweet Home Campaign is growing increasingly concerned about the government’s commitment to honour the terms of the agreement reached between Minister Simon Coveney and Home Sweet Home. Recent statements from the minister, coupled with feedback from Apollo residents who had recently been placed in substandard accommodation; have introduced doubt into the proceedings. The agreement reached yesterday resulting from lengthy negotiations, set out the terms by which Home Sweet Home and the Department of Housing would amicably conclude the occupation of Apollo House, and take serious measures to address the housing emergency. 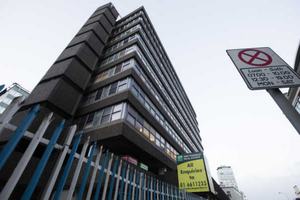 Eight residents have returned to Apollo House in the past 24 hours distressed that the accommodation offered to them by DCC were completely unsuitable to their needs. Drugs and alcohol were being used in the facilities offered, which represents a clear failure to meet the specific needs of those residents, and constitutes a failure to meet the terms of the agreement . The Minister’s statements undermining the provision of two new buildings has also raised serious concerns as to the good faith of the agreements made at the negotiation table. 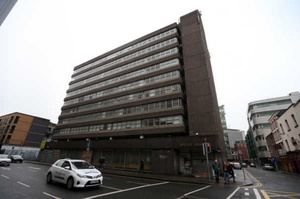 It was agreed that two new buildings, additional to the ones announced by Dublin City Council on their website on November 30, 2016, were committed to by Coveney in the negotiations, and the minimum standards in Apollo House would be the new benchmark for these two new additional facilities. The Minister for Housing is downplaying the significant achievement reached by a citizens’ intervention in the worst housing crisis the state has ever seen. In doing so, the needs of some of the most vulnerable people in society are being ignored. Home Sweet Home will, as per the agreement, only leave when the residents’ needs have been met. The long and short-term needs of the residents, as of this evening, have not been met and only when they have been met will the residents and Home Sweet Home be leaving Apollo House. Posted in Misc and tagged agreement, Apollo House, doubt, Home Sweet Home at 5:53 pm on January 10, 2017 by Broadsheet. Did anyone seriously think Comrade Ogle was going to step away from the microphone voluntarily? Ogle does more for others in one day than you’ll ever do in your whole life. You know that, I know that, your family (or what’s left of those who still talk to you) know that. You ACTUALLY said a commenter on here’s domestic partner didn’t beat them enough in the Monday Papers post. That is absolutely scum behaviour. me being scum? Nice side-step. As for the comment mentioned if it’s so outrageous why did you have to repeat it? Should we ask broadsheet to get your account banned? Ok, keep trolling I guess. Seems to be your crowning achievement. I want a gaff near me ma’s gaff. de kno’ waddi mean like? Believe me I do Bacchus. I don’t know you at all, but I saw something earlier where you were being attacked and castigated for something you’d posted on the Monday Papers post. I went back to the Monday Papers, looking for the bit I’d missed. He said a commenter on here’s domestic partner didn’t beat them enough. Maybe I need to be domestically abused, eh? You do a good job at self-flagellation already twisting around like a little snake after being called out on your own abusive commentary. Who knew, the problem isn’t really just a roof , but a massive cocktail of alcohol, drugs and criminality that makes up the reasons for most of Irelands homelessness. 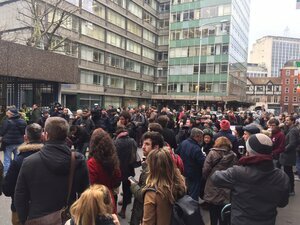 Apollo house has only ever been a media front, they couldn’t possibly cater for the majority of homeless people who just want to get trashed. Nobody’s sneering at anybody , these homeless people making hostels unsafe are only hurting themselves and others. Its because of the junkies and the alchos and criminals that we cannot provide robust homeless services. We waste the majority of our spending on these people who do not want to reform and just want to stay trashed all day. We need to start building secure facilities and a robust mandatory detox program, you have to want to get clean and help yourself to avail of any help. Methadone needs to go, welfare payments to PO Boxes / holding addresses need to go , we should not be providing a bed for somebody who wants to inject gear, drink cans and party till 4am. You either show up clean and ready to submit to detox and counselling in a secure, monitored centre or you can sleep on a sheet of cardboard in the cold. That’s how it works in other countries is it? Just put addicts into “detox” and park the bus? does anybody really think fg give a fig about the homeless. where is una mullally and the sisters in this. Well we’ve got the tee shirt. Suppose the concert should be announced anytime now, followed by the CD, then the Xmas tune in aid of. 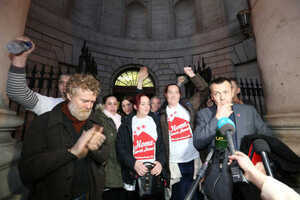 NAMA should temporarily give HSH two properties to run for say, 6 months. They will be provided with similar subsidies as the other charities doing this. HSH need to run these for 6 months – one as a dry shelter (no drink/drugs) the other as a wet shelter. They will be tasked with housing a set number of people over this time. At the end of the 6 months (and they haven’t killed anyone, and they still want to run both shelters) I’d ramp it up and give them the resources they need for as many shelters as are needed. home sweet home are not a registered, qualified, provider of homeless services. they should leave provision to the professionals as far as i’m concerned. their strength is in their advocacy of the issue, and to be fair to them they are punching way above their weight with some success – not everyone gets to bend the minister’s ear. HSH have their place, but what makes them more worthy of investment than focus, simon, pmvt, de paul, crosscare etc? I realise that. My idea was that if HS actually worked at the coal face they may realise that there isn’t a simple solution. If you were to provide these lovely Apollo-style rooms to everyone that is homeless, within 6 months a proportion of them will be trashed (see the pictures on other BS stories of the state of the places provided by other service providers to see). Providing support for the homeless is a Sisyphean task. Personally I think that HSH only want to help the ‘nice’ homeless. The ones that don’t have mental or substance-abuse issues. And perhaps there is merit in that. Maybe we do need two-tier support for the homeless and treat the two separately. It would have been fairly irresponsible to try to set something up that was either focused on homeless with serious psychological issues or drug dependencies without proper professional support and services, or which mixed homeless people without those issues and those with. Providing a refuge for homeless people without serious issues was the bare minimum, and if it highlights the enormity and complexity of the ongoing crisis and all the people HSH are not equipped to help, then it’s doing some good.